Growing up in Southern California one of the hangout spots I had was the Balboa Peninsula. With a beautiful beach, a fun zone with rides and respective arcades, and several shops to eat at and explore it was a great place for myself, friends, and family to visit and enjoy. When after a few months in swing dancing in Pennsylvania I learned a dance originated from the same place that I had many happy memories of, I was ecstatic to put it lightly and knew I had to learn this dance. Normally I would not be able to afford going to the Balboa Rendezvous, but luckily enough this year I won one of the scholarships provided for college students and international attendees. At Balboa Rendezvous they have something called Balboa University, which they have six different tracks from absolute beginner to invitational only track. I took the Junior (Level 3) track which ended up being a good fit for me. The majority of the classes challenged me enough but by the end of the class I could get a significant amount of the material. Only one of the classes was an absolute breeze for me and I also only had one extremely difficult class. For levels 1-4 they had in class instructors. They were advanced Balboa dancers that are thrown into the rotation and give people individual feedback. While a great idea in theory the problem was some of the classes rotated so slowly that you might only get one of them once or in some cases not at all. However when I did get them in rotation they often gave advice that was very helpful. Like any workshop they also had the problem of people placing themselves in levels above what they should have been taking. Before the dance started there was a Q&A session with as Joel Plys calls them “the masters” but as many in swing dance community refers them to as the “old timers”. They told great stories like how they used to sneak in the dances via the fire escapes and camp on the beach. One of the quotes from the session that stuck out in my head was one gentleman said something to the effect of, “You know you are truly a great dancer when you have moves that nobody can steal.” On a slightly related note this session gave me the privilege to meet Hal Takier, a dancer I look up to who was featured in many film clips such as Maharaja. The funny thing is at the dances this year I noticed a large contingent from the usual southern California crowd I run into when I am back home. However I think it is due to this year with Fleur De Lindy, DCLX, and The Hawkeye Swing Dance Festival it would be a tough call for people not close to California to skip out for this event. While the Friday and Saturday night dances were fun, the noteworthy one was the Sunday night dance held in the Balboa Pavilion itself. 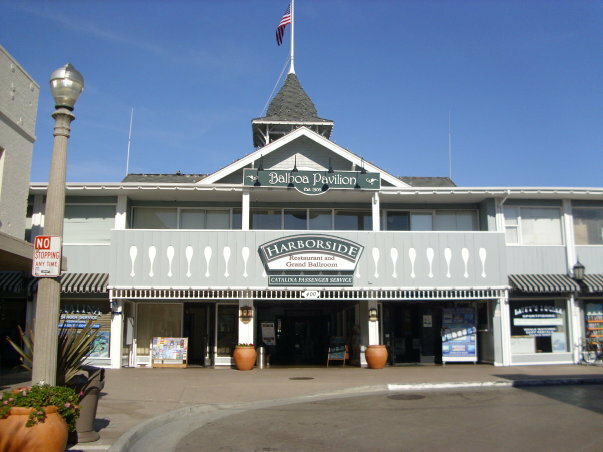 Knowing the history of the pavilion and have visited the Balboa Peninsula area many times growing up, dancing inside was a nostalgic and exciting experience for me. Playing that night was the Solomon Douglas Swingtet which featured a killer version of Jimmie Lunceford’s “White Heat”, the floor was on fire when that song hit the pavilion. I am not sure if it was the music, the atmosphere or combination of both but I felt like I danced the hell out of that night and left very satisfied after midnight. After attending the event though I would say if you are looking for a unique balboa experience (especially if you are a dance history geek like myself) I recommend you check it out. This entry was posted on April 14, 2010 by Apache. It was filed under Balboa, Dance .